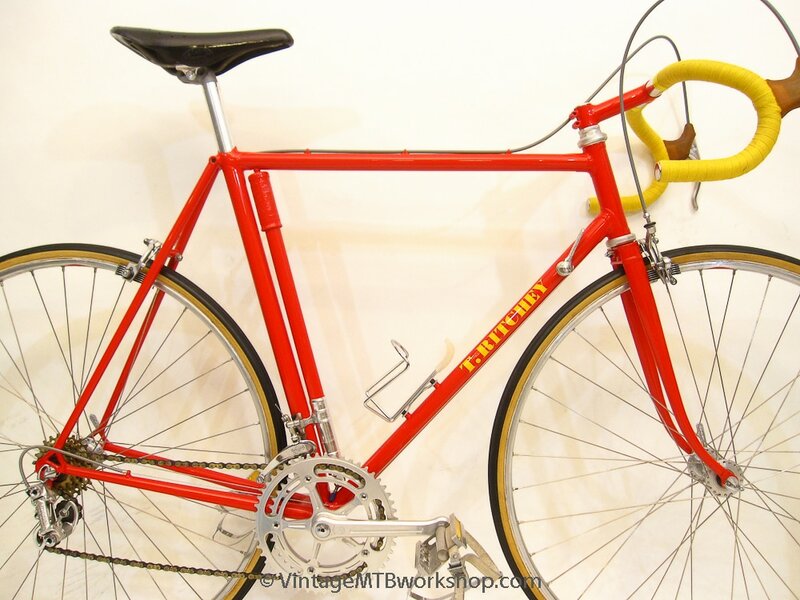 This lugged road bike was built by Tom Ritchey when he was just 19 years old and building in his parent's garage in Palo Alto. 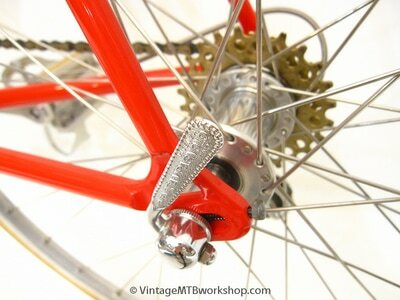 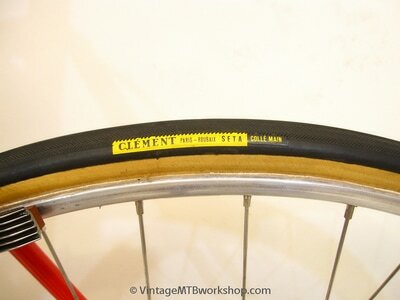 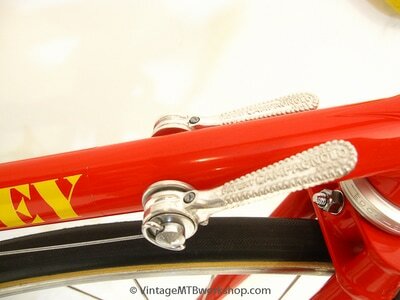 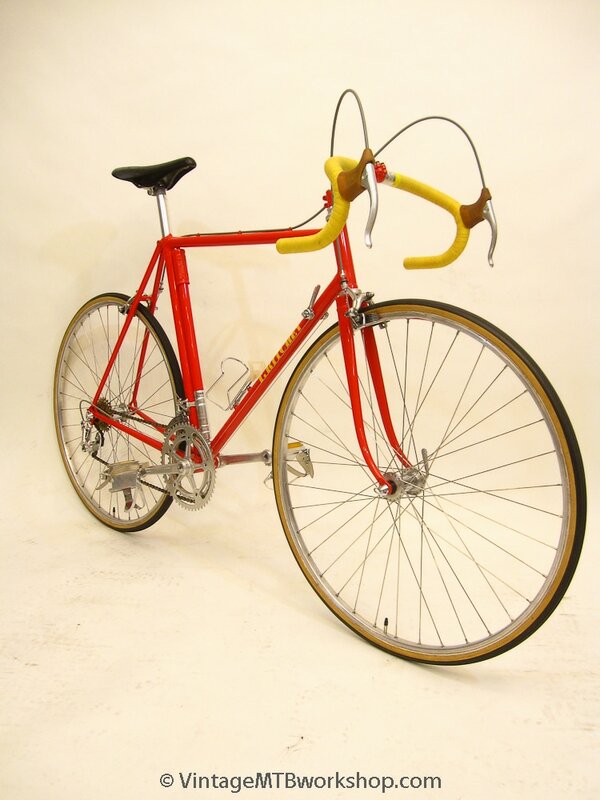 The original owner rode the bike extensively in Europe, including the Swiss Alps and an amateur ride of Paris-Roubaix. 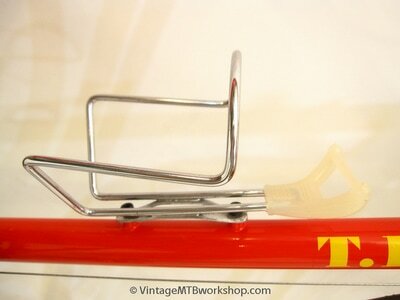 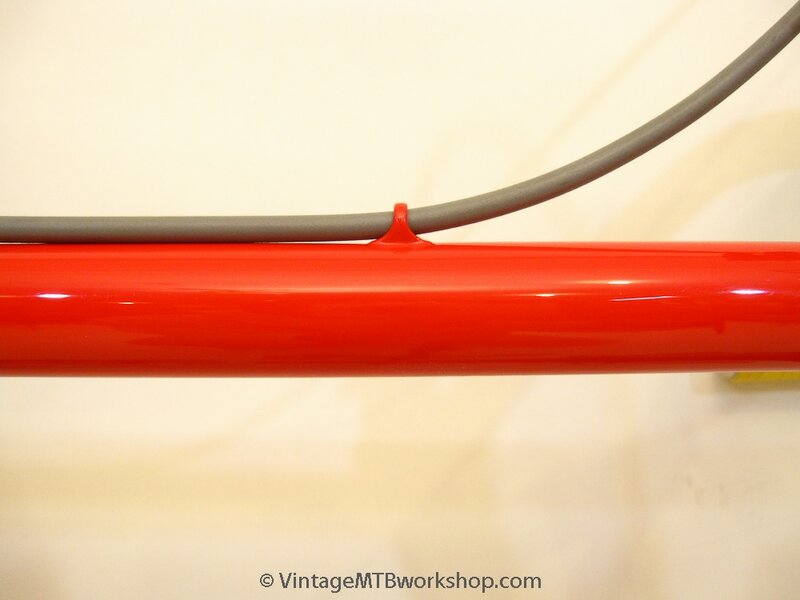 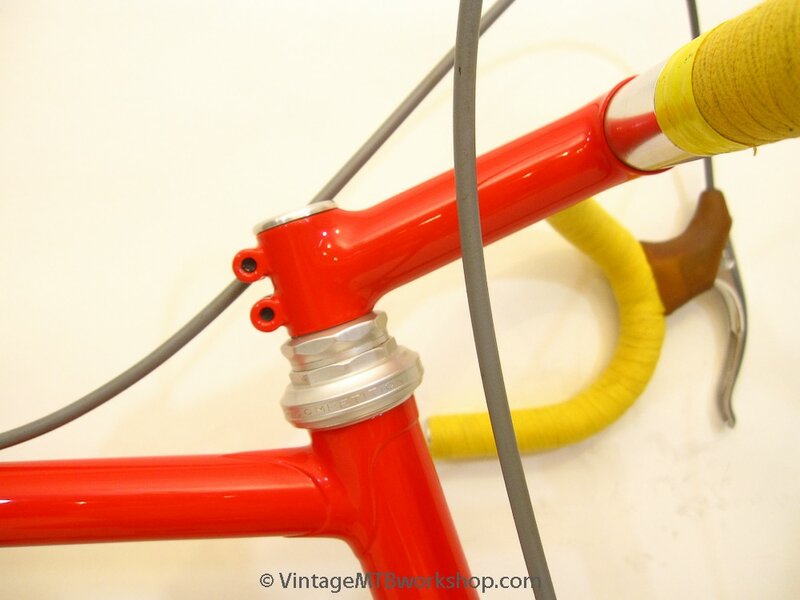 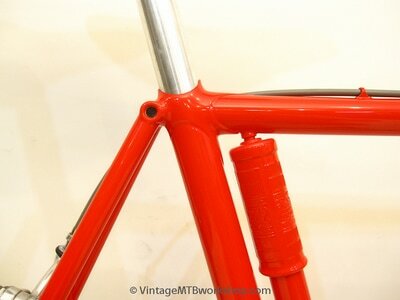 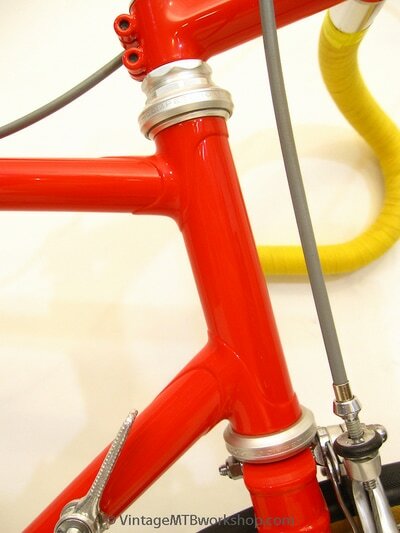 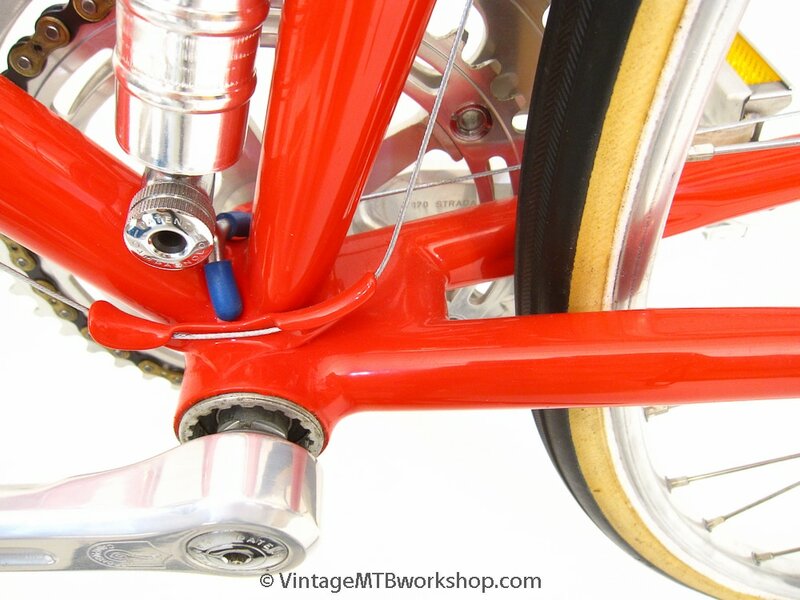 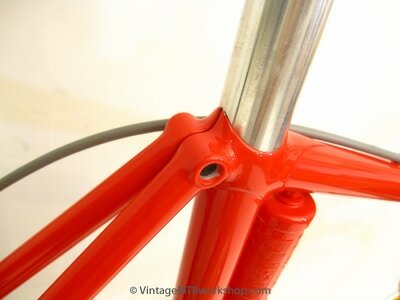 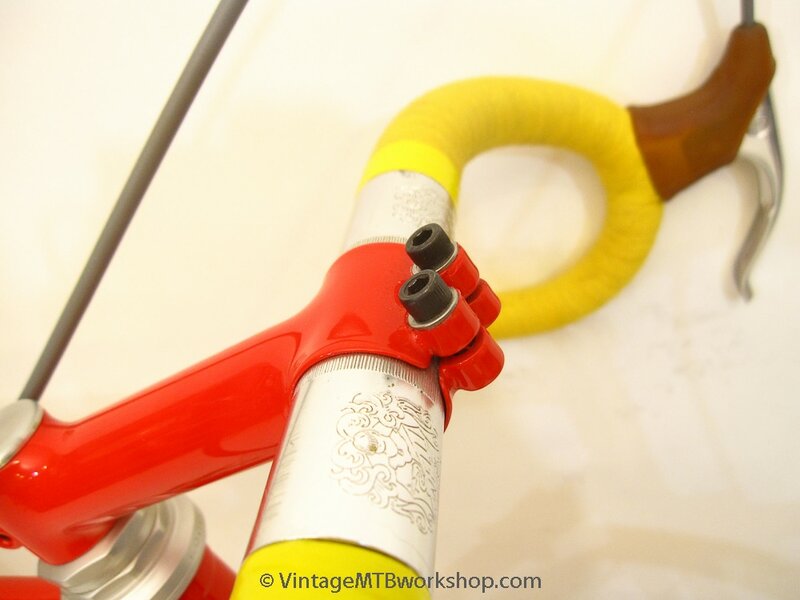 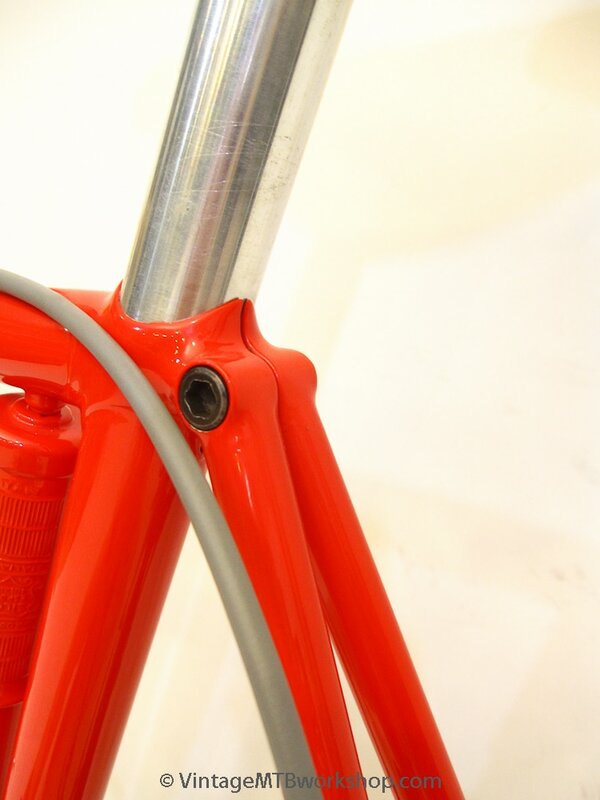 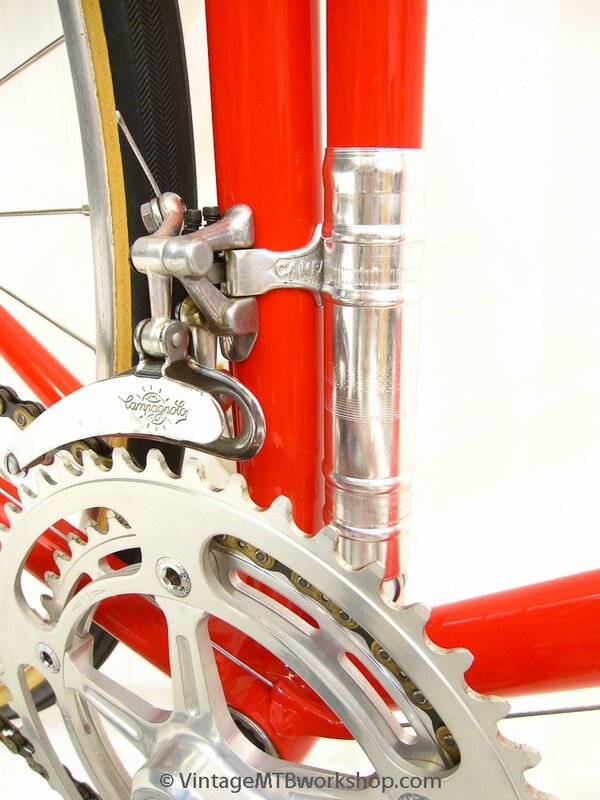 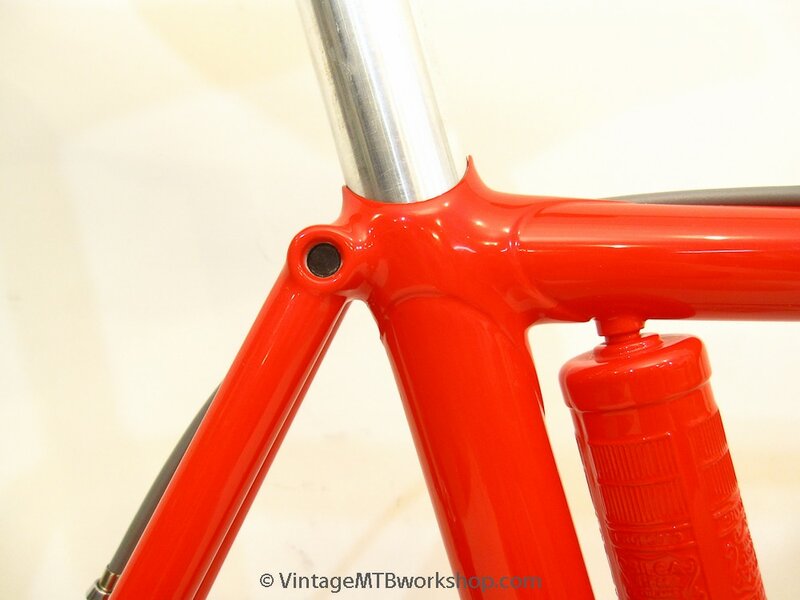 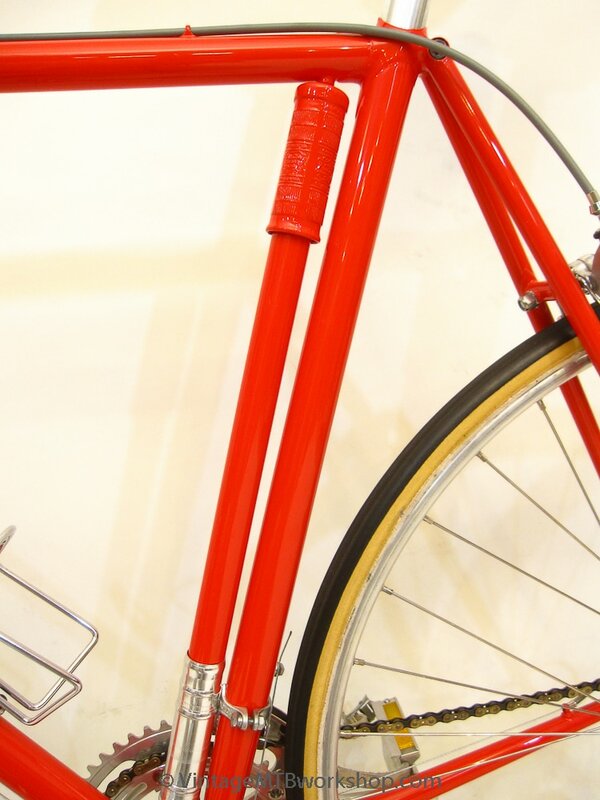 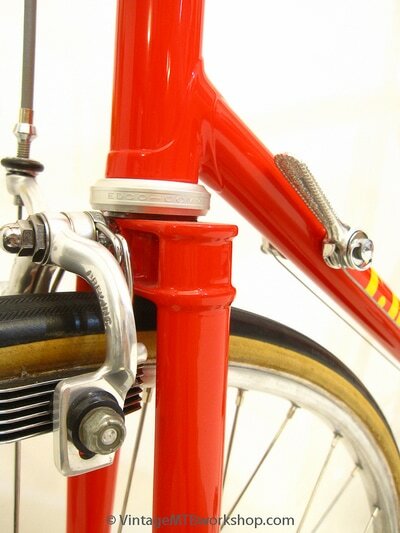 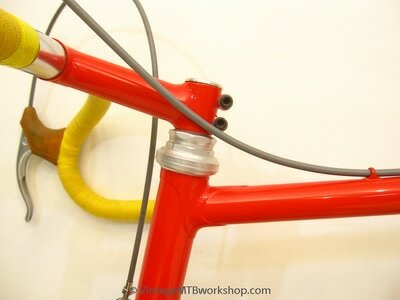 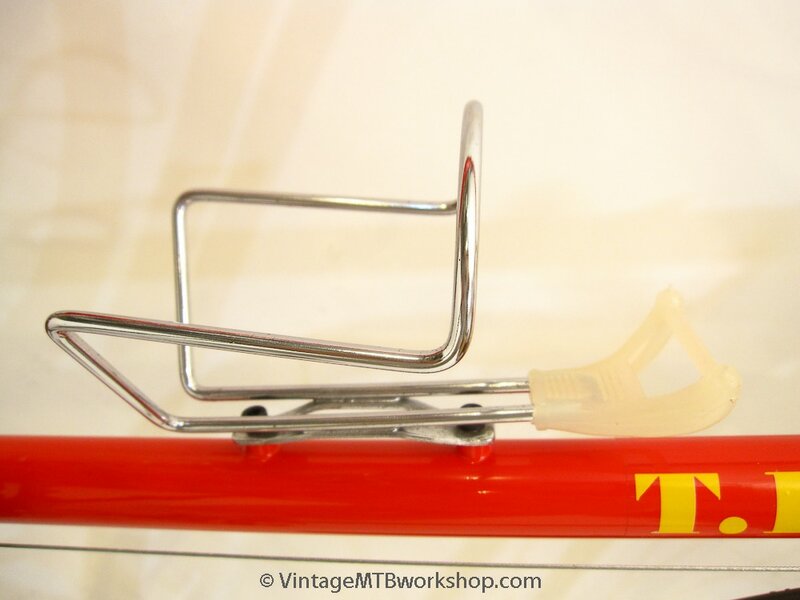 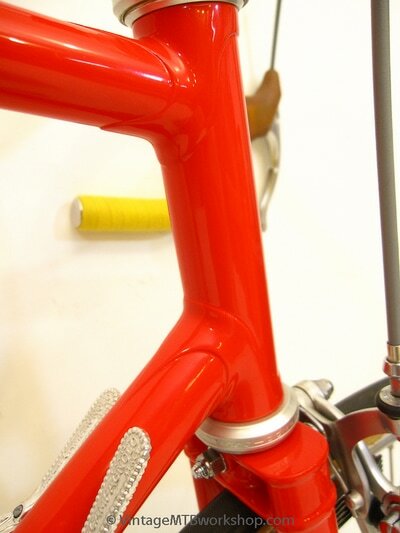 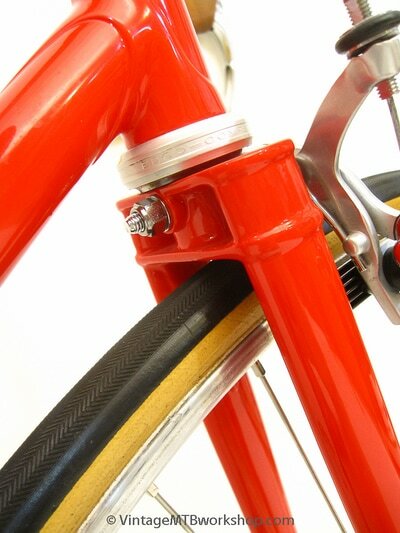 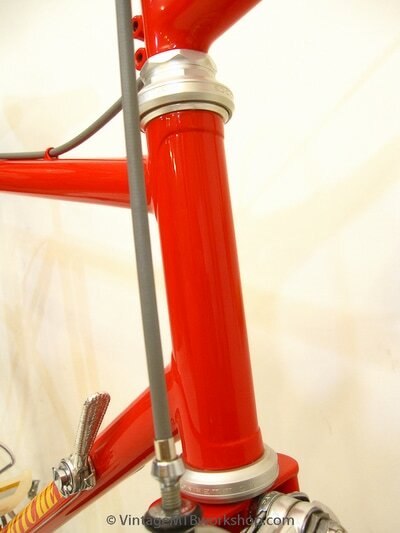 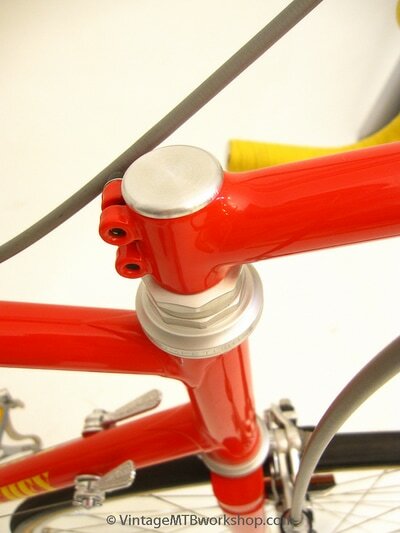 Special details on this frame include a biplane fork built from scratch and a tubular steel stem which clamps directly to a stub brazed into the end of the fork steer tube. This fork and stem connection is both lighter weight and more rigid than a traditional quill stem. This bike has classic Ritchey touches such as a fast-back seat cluster, park bench chainstay brace, and extensive lug thinning. 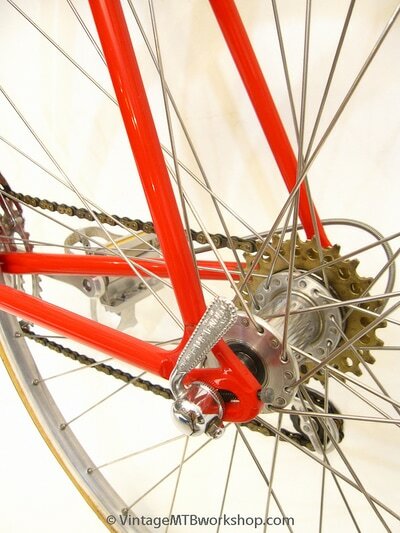 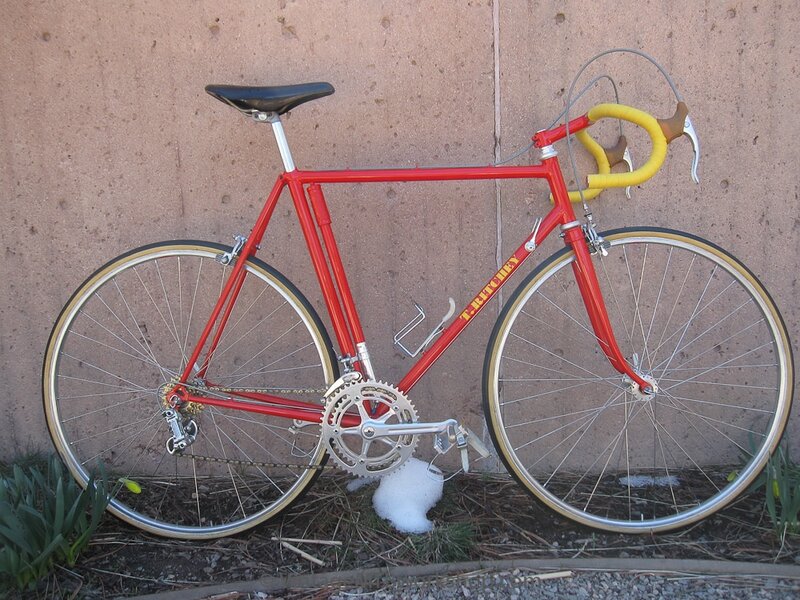 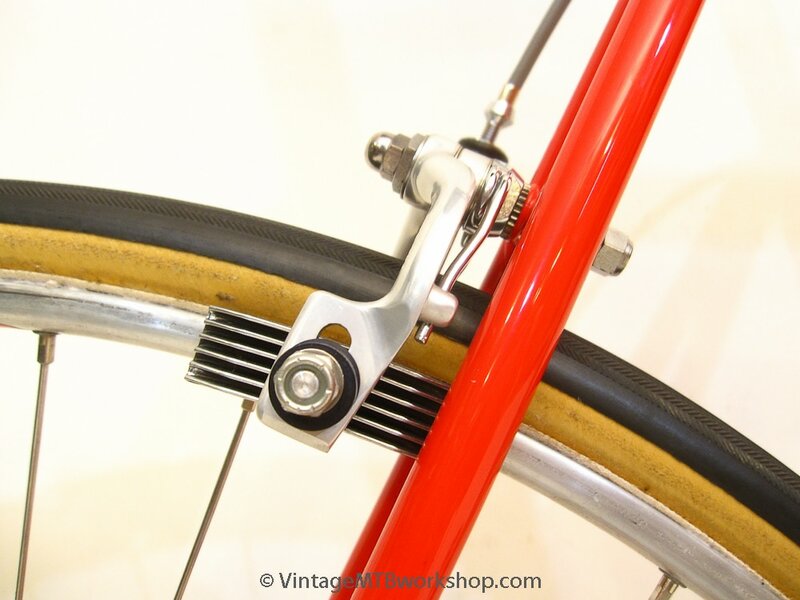 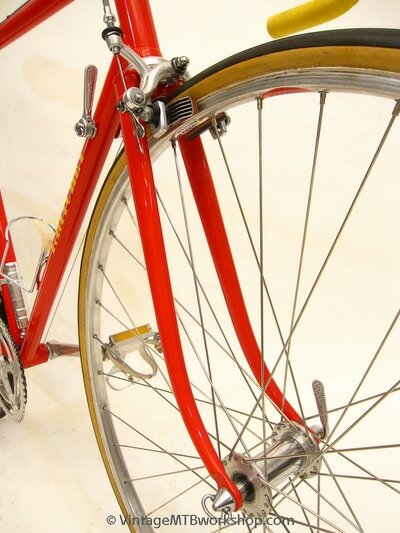 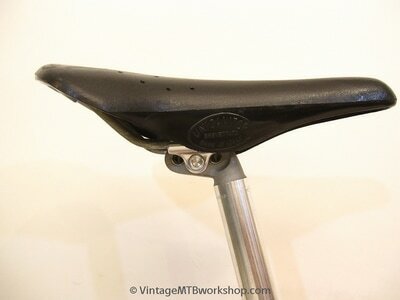 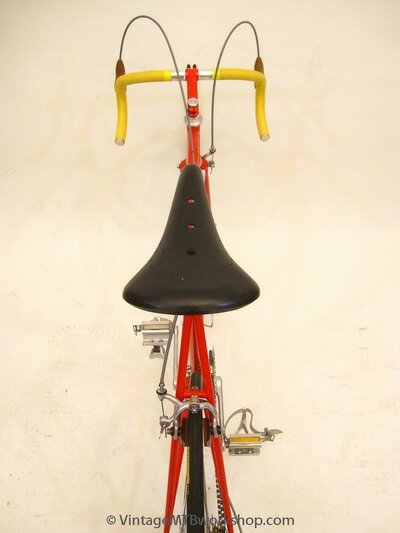 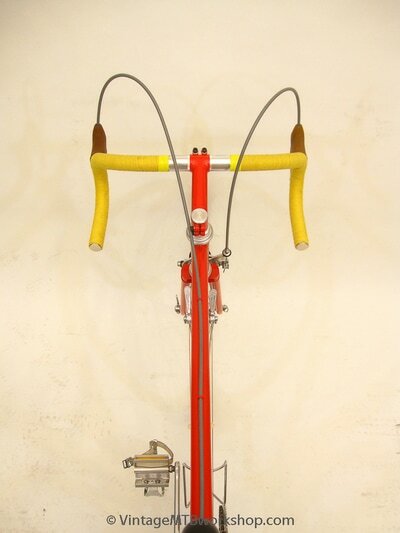 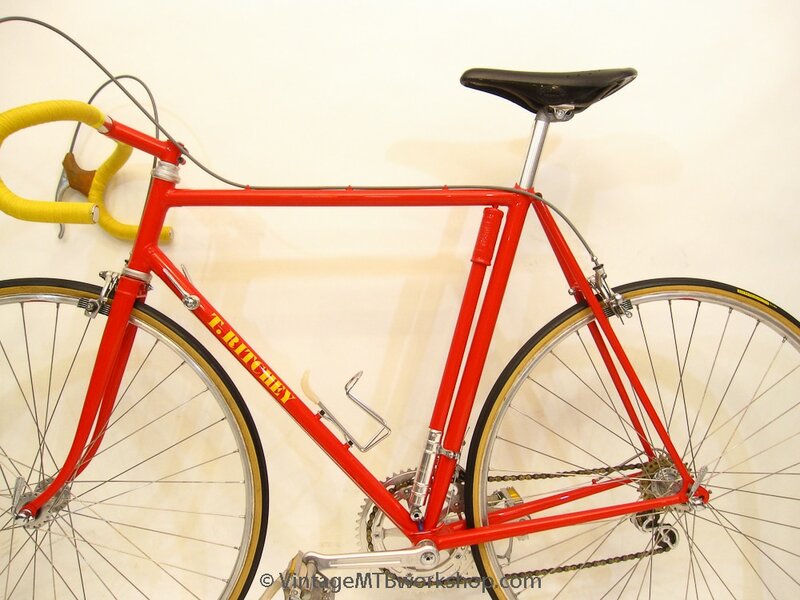 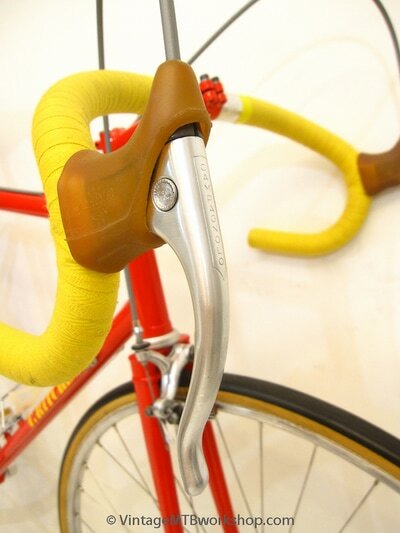 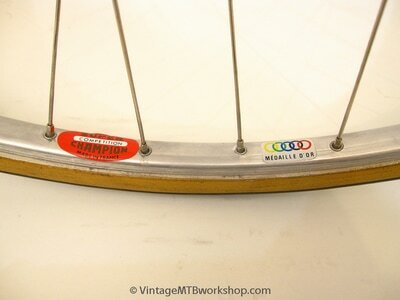 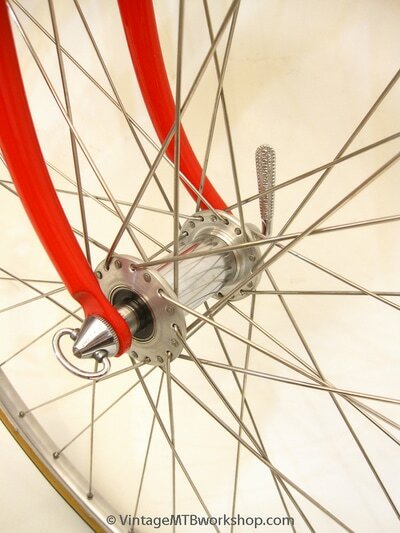 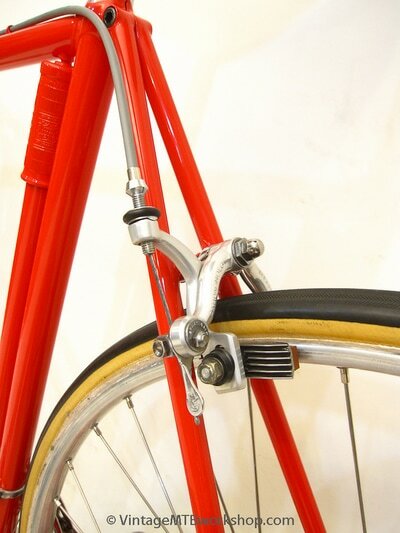 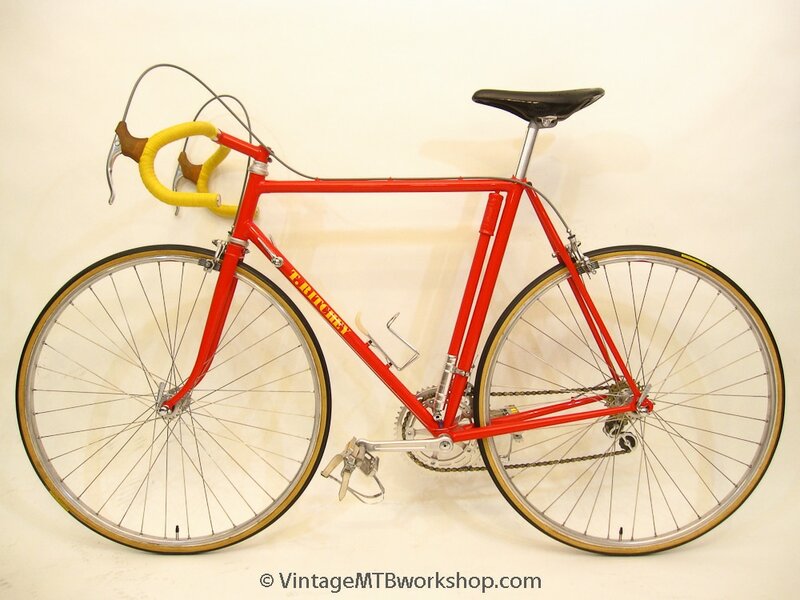 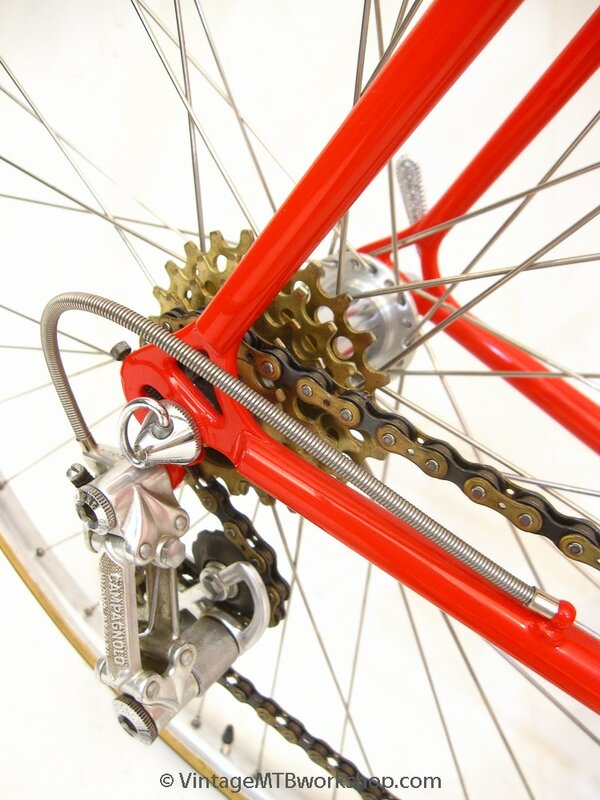 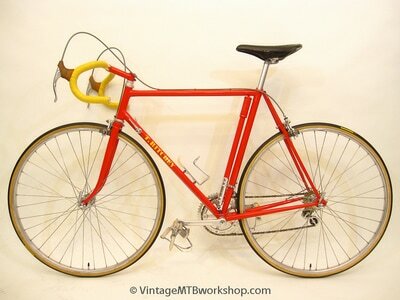 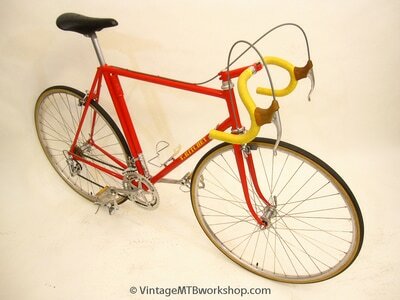 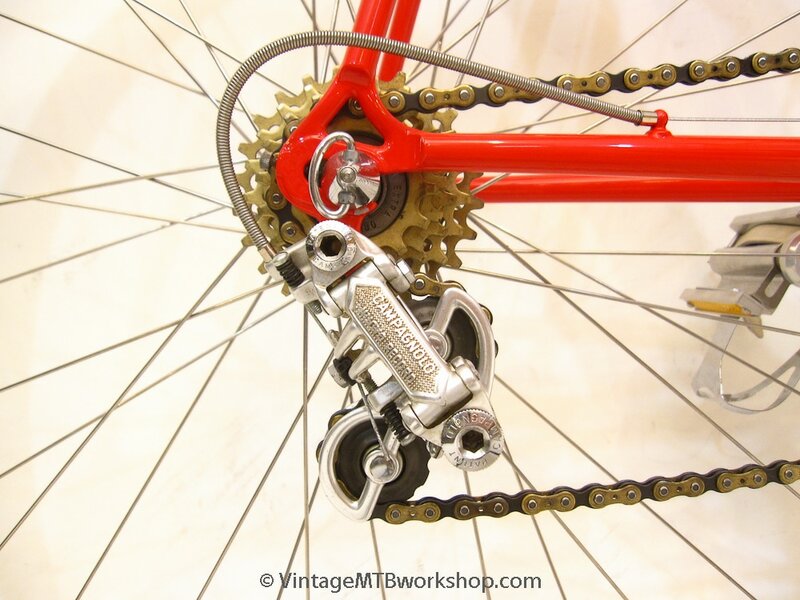 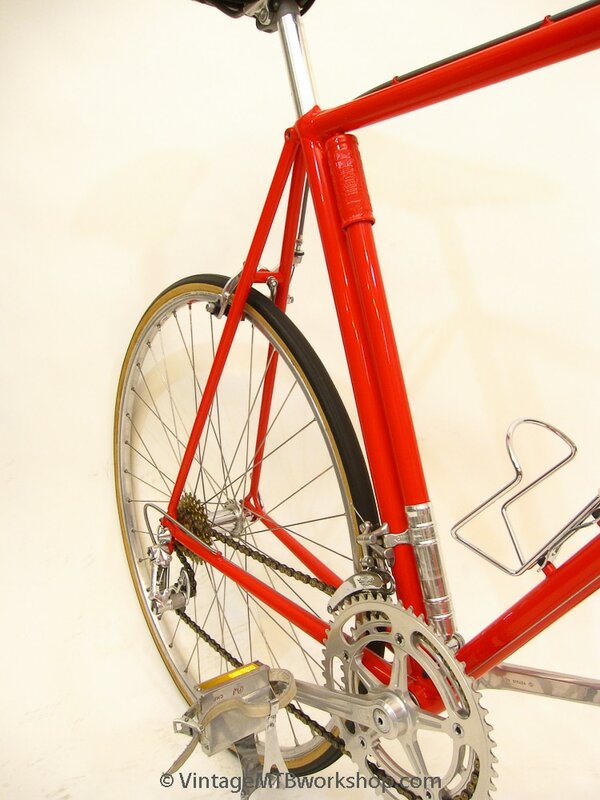 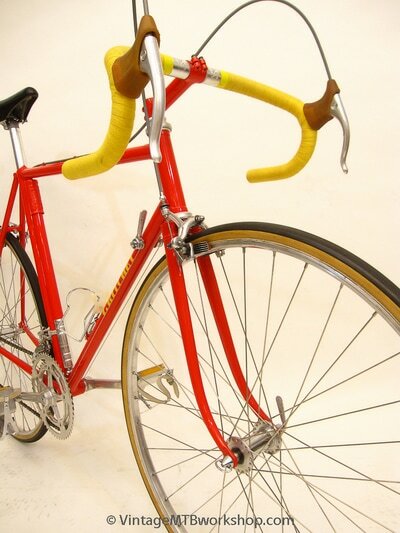 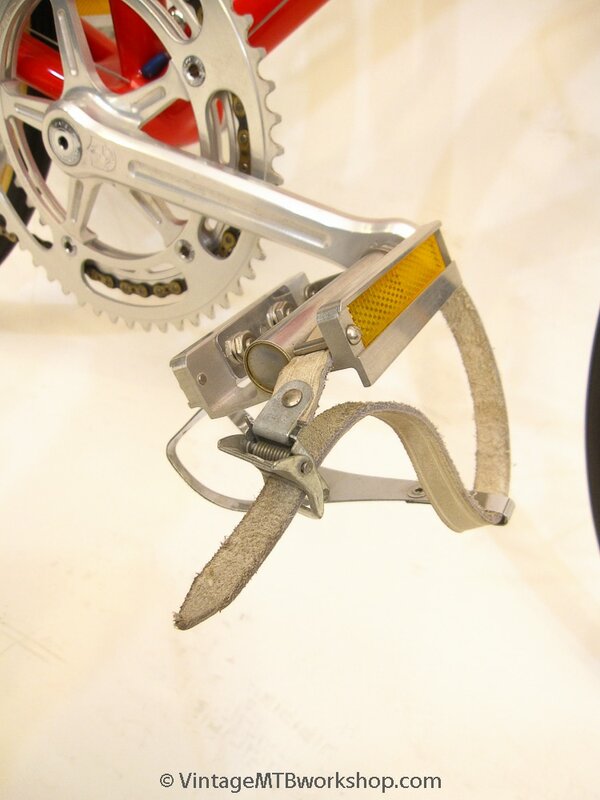 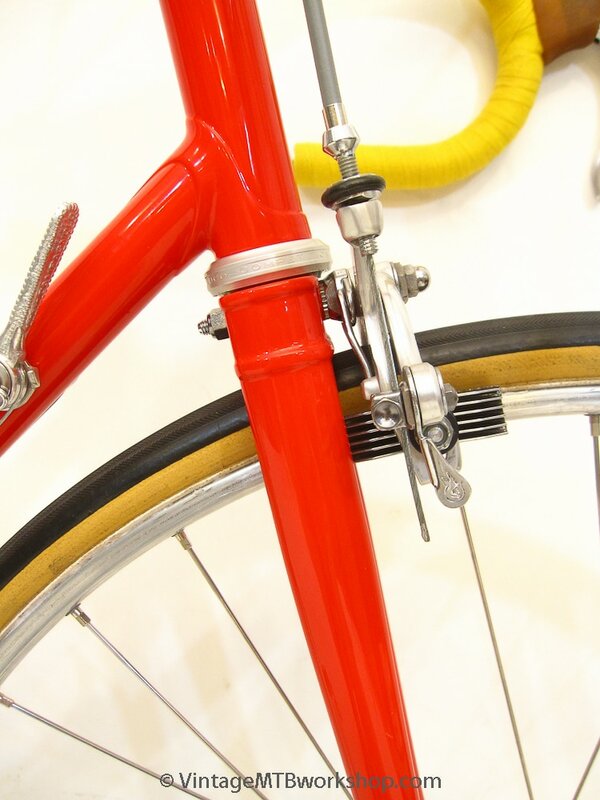 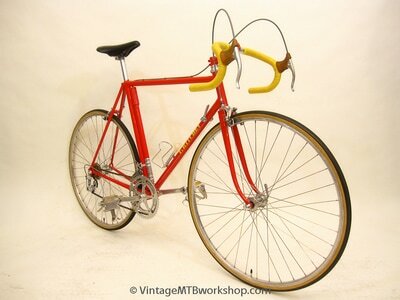 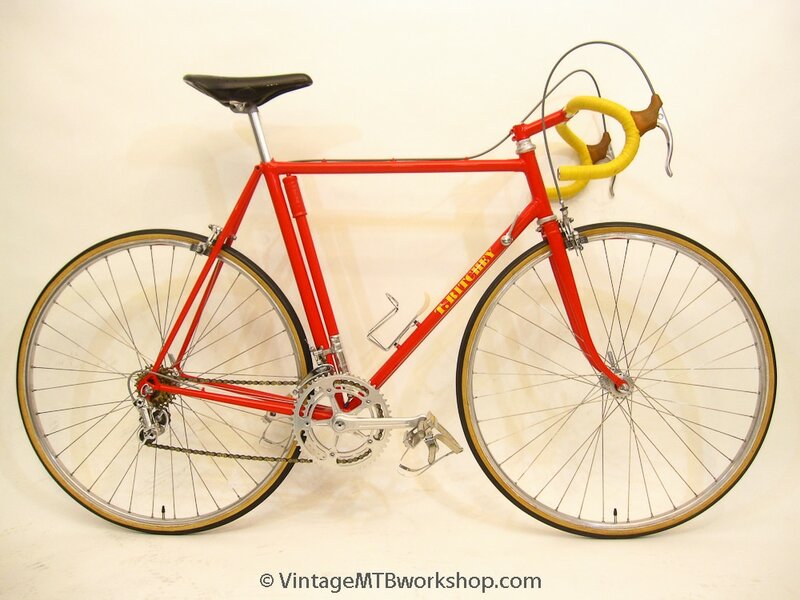 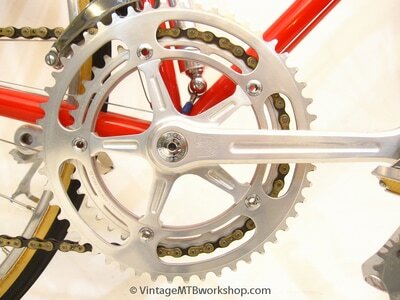 The bike is built like many high-end custom road bikes in the Bay Area were in the mid-70s, including pedals, bottom bracket, and hubs from Phil Wood, and lightweight options like a plastic Unicanitor saddle. 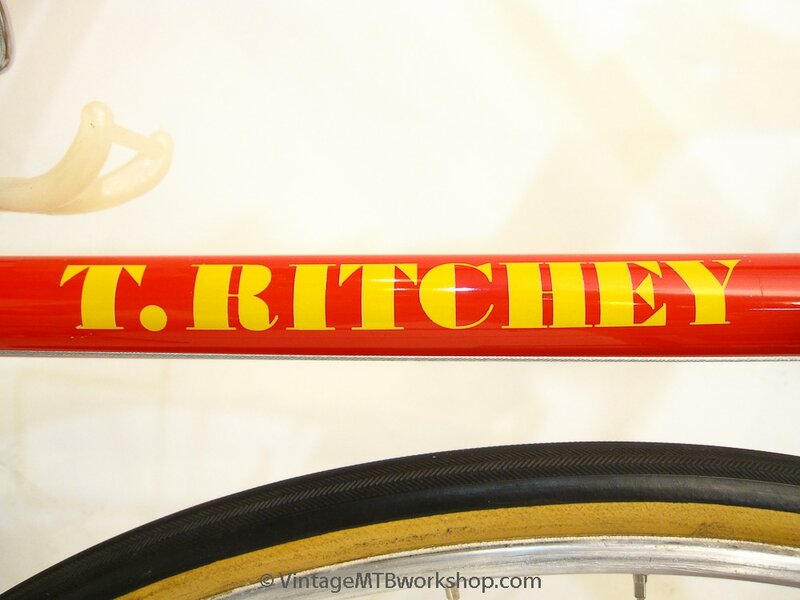 This bike was fully restored with new paint, "T. Ritchey" graphics, and new-old-stock parts, and stands as a prime example of the skill with which Tom would later go on to be a prolific builder of early mountain bikes.